Speaking to the Beirut-based Al-Mayadeen channel on Saturday, Larijani said controversies surrounding the conference and contradicting statements by US and Polish officials on the agenda of the meeting show this is not a well-planned conference and is unlikely to produce tangible outcomes. “The Warsaw conference is more like a psychological operation and they want to create [empty] grandeur for themselves,” ICANA reported him as saying, referring to the conference planned to be held in Poland mid-February. Larijani said the US has been seeking to change Iran’s behaviour in the region, but they have failed to achieve this goal. “The conditions of the Warsaw conference show that they have faced problems in realizing their goals and have failed to solve [their] issues in the region,” he said. Pointing to an eight-country tour of the Middle East by US State Secretary Mike Pompeo in January and the Poland conference, Larijani said they are signs of the US weakness. “Such moves are not signs of the US might. If Americans could do something, they wouldn’t need such trips and conferences,” he said. 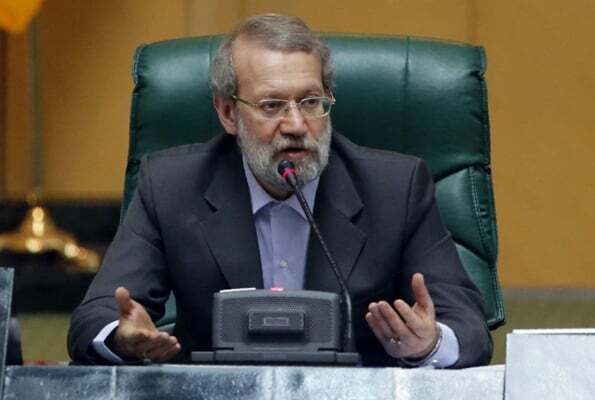 Larijani said the US has lost the close cooperation of its traditional allies in Europe, as they are dissatisfied by unilateral US moves, notably Washington’s withdrawal from the 2015 nuclear deal that was taken as an insult in Europe. The speaker said the US is seeking to create tensions among Europeans in a bid to prevent the EU measures from decreasing dependence on Washington. However, Larijani said, Europeans have understood that their dependence on the US is highly dangerous and are determined to decrease it. The speaker said Europeans no longer want to be highly dependent on the US, the traces of which can be seen in an announcement by some European governments that they seek to create an army, in Europe’s move to create the special financial mechanism (INSTEX) for trade with Iran, and their recent conference on the European internet. “If Europe wants breathing room in the future, it must be able to stand on its feet in the international scene. Europeans have understood that this level of economic dependence is highly detrimental for them,” he said.